I must say, as soon as I wrote the title, my paranoia kicked in and I looked it up on Google to see if it has a new meaning now or not. Also, excuse this segue, but I seem to have been hiding under a rock. "Google" has been an official verb since 2006!? Sorry, I still refuse to use it. Okay, now that all my crazy is out of the way, I have a question for you. Why is it so hard to come up with things that we're good at, or things that are good about us, yet it's so easy to criticise ourselves, pick out the things we dislike and basically tear into our self-esteem? This isn't just from my own experience when asked about my strengths and weaknesses. It's also from my observations over the years when I used to interview potential employees. If someone knows the answer, I would genuinely like to know. If I really think about it, it does seem rather silly that I become hesitant when telling others of my strengths/abilities/achievements. Shouldn't I be proud of the things I excel in and what I can do or what I've already accomplished? I think there's a difference between a quiet kind of pride and being a total egotist, and people are able to perceive those things. And if they think I'm being a complete narcissist, it means they don't know me that well, which in turn means what they think doesn't matter. With that, I'm finally going to answer today's question. My strengths and the things I'm good at: prioritising, time management. I've got an eye for detail. When I do a job, I do it well. What things are you good at? 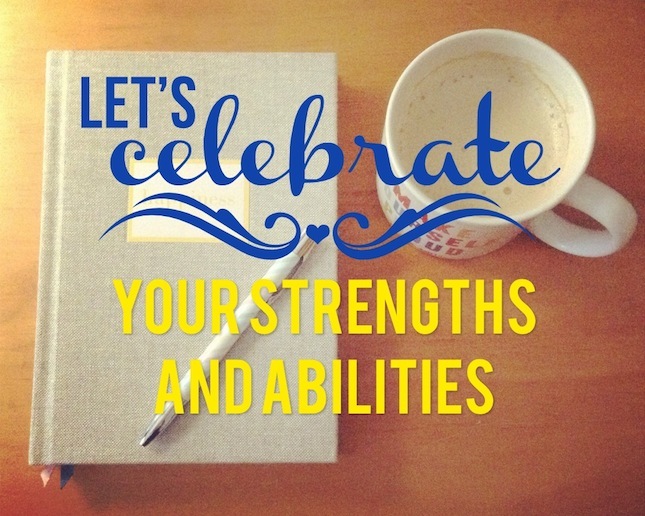 How can you use these strengths towards achieving your goals this year? Omg, yesyesyes! I talked about this in my post too! It's so sad how easy it is to shoot ourselves down. That's definitely something I need to work on!